Valentine’s Day has come and gone and all the newly engaged and newlyweds are out and about exploring the grid together. For the newlyweds, after all the hard work and stress of planning the wedding it’s now time to find that perfect honeymoon location so you two can relax together. For those engaged couples, I’ve made up a list of some of the different locations to add to top off your wedding plans. This is a great place to stay. You can rent one of their 9 themed suites. They offer different types such as Winter Wonderland to Rain forest. It’s very simple to rent and everything is set up for you. This cruise ship is just beautiful! You can rent one of there cabins for a day or even a week. They offer many actives such as a Café, Lounge,pool,skating and much more. What a way to spend a honeymoon but on the open seas. Here you can rent a private Skybox for a reasonable price. One of the opinions are a Tokyo Hotel or Roman bath themed rooms. Just right click on the teleporter to pay and your all set for your honeymoon. They offer private cruises all around the Blake sea. The charters they have are Nautilus . It is more relaxing with little or no stops. The other charter they offer is SS Galaxy” It has more Romantic stops. They have 3 boats with packages. Just stop by to find the perfect charter for your honeymoon. Here you can also find skyboxes to rent. What is great I they offer a free 5 minutes tour of each one so you can have a chance to decide which you like best. You don’t have to be honeymooning to go to these locations. They are perfect for any couple looking to spend some quality time with some added romance. 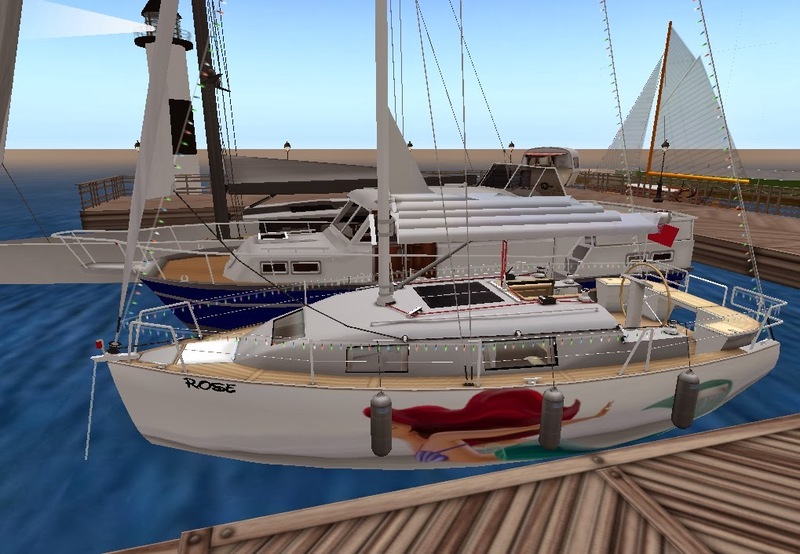 If you are just looking to spend the day together, Second Life has lots of romantic places you can go visit. If you are looking for a overnight stay or a week stay, I think skyboxes and cruises seem to be the best choice for your honeymoon and privacy. But as long as you are together then it doesn’t really matter where you go.